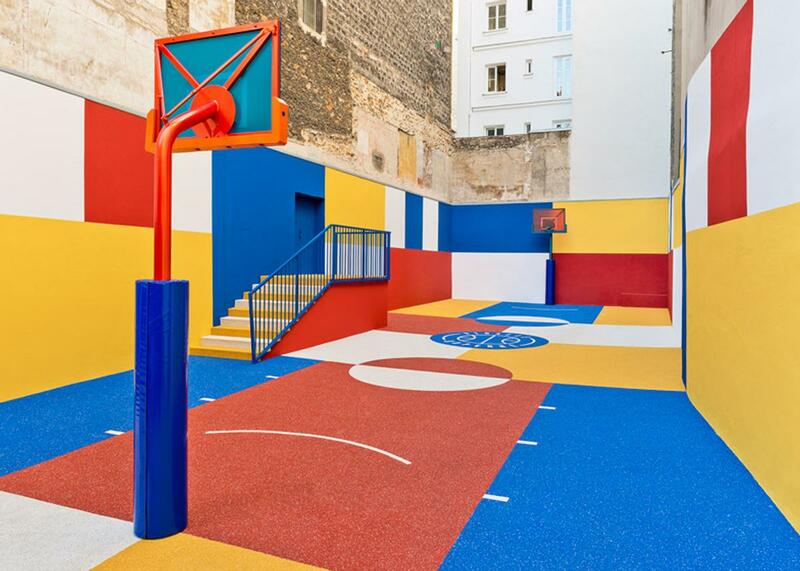 Pigalle fashion designer creates a dazzling basketball secret to Paris court Archi-new - Free Dwg file Blocks Cad autocad architecture. Archi-new 3D Dwg - Free Dwg file Blocks Cad autocad architecture. 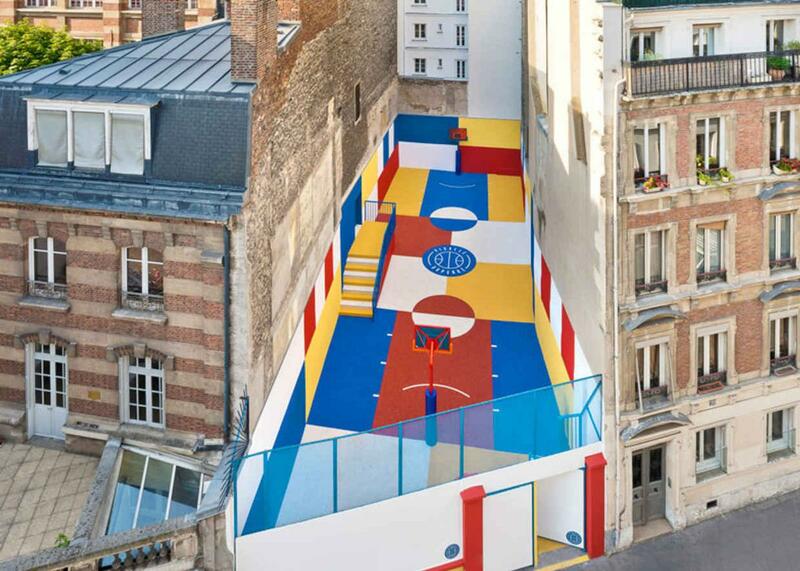 Parisian fashion brand Pigalle and architecture firm Ill-Studio have collaborated to create a vivid multicoloured basketball court squeezed between two apartment buildings in the French capital’s 9th arrondissement. 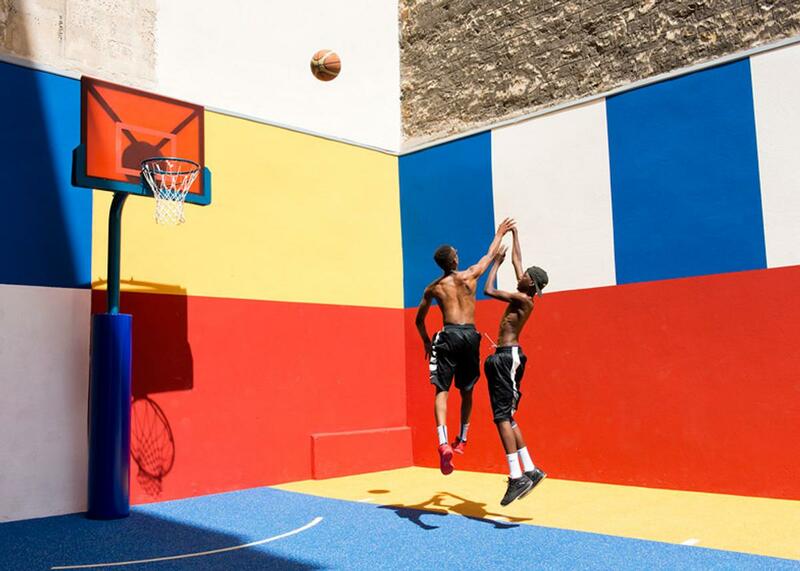 Pigalle founder and basketball aficionado Stéphane Ashpool had previously renovated the Rue Duperré court – where he himself plays and offers coaching to local youths – in 2009 with the help of sports brand Nike and basketball icon LeBron James. The colourful new update took place this year to promote Pigalle’s colourful Spring/Summer 2016 collection. Ill-Studio took their cue from the vibrant house paintings of the Ndebele people of South Africa, as well as basketball’s colourful influence in the US. Bright pop colours, mixed proportions, layers of colour and a distinctive graphic element are incorporated into the brand’s sports clothing designs, and have been echoed in the design on the court. Panels of blue, yellow, red and white paint cover the walls and synthetic rubber in the same colours is applied to the flooring. 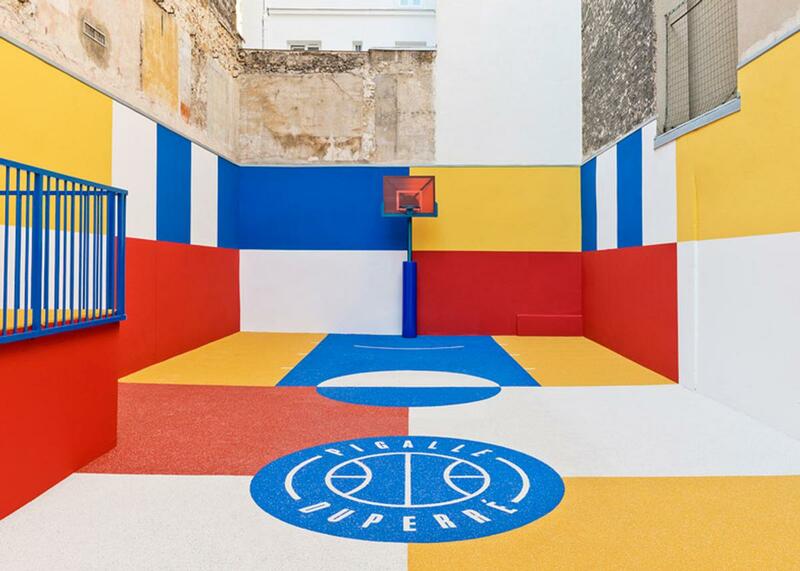 Friends and family of the design team joined the local team Ashpool coaches to finish the court, with the basketball players later modelling Pigalle’s latest fashion collection.